Ariel pulled the covers off their latest model, The Nomad all-terrain sports car, at the UK Autosport International Show last week. 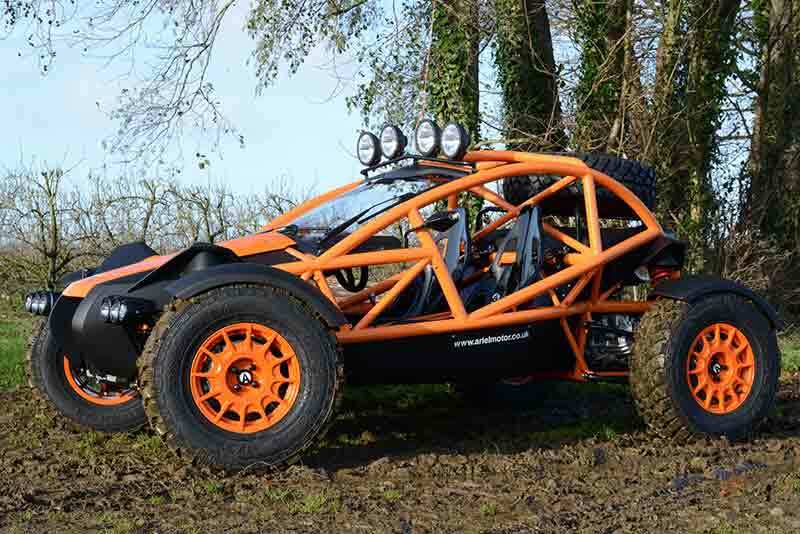 Meet the Ariel Nomad, the Atom sports car’s ‘big and dirty’ brother and the answer to the question ‘just what would an ‘Atom with knobbly tyres be like? Designed in-house, the Nomad shares the Atom’s lightweight perimeter space frame structure and high performance credentials but outboard suspension, raised ground clearance, long travel dampers, damage resistant body panels and a whole host of off-road options mean the Nomad can venture to places most car owners couldn’t even consider. Like the Atom and Ace motorcycle, the Nomad uses Honda Power. Nestled in the back is the trusty Honda 2.4 litre, 4-cylinder Type R engine but tuned for extra torque and driveability off-road. The engine delivers 235bhp and 300Nm of torque, the same as a supercharged Atom. This is channelled through a 6-speed gearbox and limited slip differential at the rear. 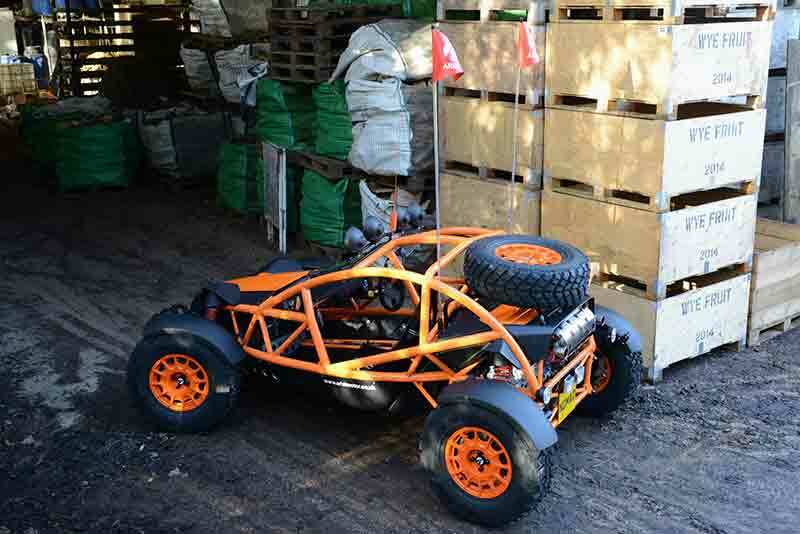 As you’d expect, the lightweight Nomad is no slouch, 0-60 is covered in just 3.5 seconds, with a top speed of 136mph. 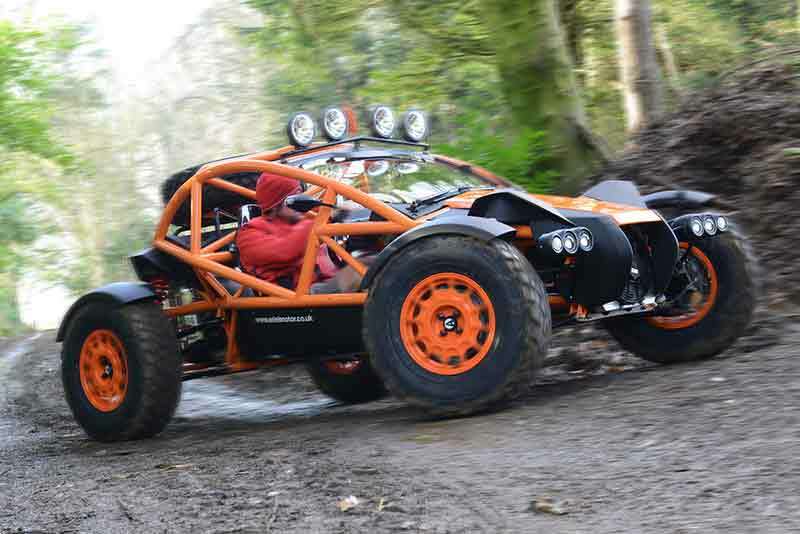 In testing the Nomad all-terrain sports car has tackled WRC stages, rock falls and off road race tracks and although the car is only two wheel drive, Ariel claim the 670kg Nomad, with up to 300mm ground clearance, still betters many 4wd vehicles off road. Ariel are very proud that no two cars leave their factory the same, and the Nomad builds on this tradition. The options list is huge, allowing owners a great deal of choice in specifying and personalising their cars. There’s different tyres, wheels, competition parts, engine tuning and suspension components, as well as windscreen, underbody protection, lamps, bumper bars and winches. While full off-road weather equipment, should make driving the Nomad in winter more favourable. Nomad production starts in Spring 2015, manufactured in similar quantities to the Atom, at up to 100 cars per annum. Prices start at around £27,500 in the UK (plus VAT) with orders being taken immediately.